Scott Roeder wanted to save some lives. George Tiller performed late term abortions on fetuses that would be viable if left to the course of nature. Roeder decided that since abortion is murder, then abortionists should be killed. Roeder and others like him have assembled a carefully picked set of facts and assumptions to justify their deadly deeds. In doing so, they made grievous moral and tactical errors. I also am opposed to abortion. I feel that it should be legal to save the life of the mother, and for very few other reasons. Abortion on demand deadens our sensitivity to those already living. But there are critical differences between the rescue of the unborn and rescuing someone already born from a murderous assailant. The death of an unborn child is most often unnoticed and unmourned. We are conditioned to ignore the senses, to believe that the movement within a mother to be is nothing worthy of awe or protection. Even back in the days when abortion was illegal, abortions took place. Some were done in clinical surroundings. Others were performed in grim and filthy surroundings. I once spoke with a woman who was a devout Christian who was swayed by personal sympathy and babysat for a neighbour while she was getting an abortion. My coworker who was the baby sitter had daughters and no sons. When her friend came home from the abortionist, she asked her what the child was. When the woman informed her that it was a boy, she burst out in tears. Somehow, the gender of the child awakened her to the humanity of a life that had been taken. 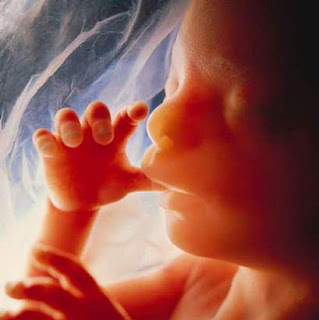 It is unpredictable what it takes to put a human face on the seemingly abstract question of unborn life. We now have drugs which can induce abortion.Between pro abortion doctors and the availability of these drugs, it would take a police state to prevent every abortion contemplated. Even then, there would be lapses. The only way to prevent abortions is to raise a generation that loves and protects life at all stages of its development. The laws against abortion must be an expression of existing will and sentiment in order to be effective. Organisations that assist with unwanted or unexpected pregnancies can through their charitable work raise the level of public awareness. Schools which subscribe to a pro life philosophy can inculcate a regard for the sanctity of life. It can and should be argued that denial of tax dollars to private schools puts pro life parents at a financial disadvantage . Education is the key to reducing the number of abortions. The pro life side of the controversy is operating at a considerable disadvantage in the battle for America's hearts and minds. As someone who is anti abortion, I feel a lot of conflicting emotions in looking at the murder of George Tiller. By killing Tiller, I believe that Scott Roeder not only committed an actual murder. By killing Tiller, he brought into disrepute an opinion about abortion and unborn life that deserves respect and consideration. Many people who are swayed by emotion will be pushed into the pro abortion camp, thanks to Scott Roeder. In a real sense, he not only murdered George Tiller, but made the fight to prevent future abortions that much more difficult. What if Tiller were my neighbour? How would I deal with having as a neighbour someone who specialises in late term abortions? I would probably shun him. If he attended the same house of worship as I do, I would probably go somewhere else to pray. I might even remain in the same house of worship in order to demonstratively avoid him. Others might try to sway Tiller and those like him who perform abortions. Bernard Nathanson was personally responsible by his calculations for over 75,000 abortions. He founded NARAL, an organisation that lobbied for abortion legalisation. He performed abortions and ran a clinic. He is now a leading pro life activist, lobbying to end legalised abortion. Had he , like Tiller been murdered, his name would have been a rallying cry in favour of abortion. Instead, he is winning hearts and minds one by one as he seeks to fight abortion in America. Who and what persuaded Nathanson to switch sides? Those who are pro life should ask this questions. Lives hang in the balance. Whether abortion is legal or not, the real struggle will be within every heart and mind of every citizen. In the struggle to end abortion, Scott Roeder has been far more useful to those who favour abortion than its opponents. He will stand trial for the murder of George Tiller. But in the eyes of many, Scott Roeder has on his hands the deaths of the unborn as well. I am including a video of Bernard Nathanson in an ad against abortion in a South Dakota referendum. Although I part ways with him on questions of religious convictions, I find common cause with him in his opposition to abortion.